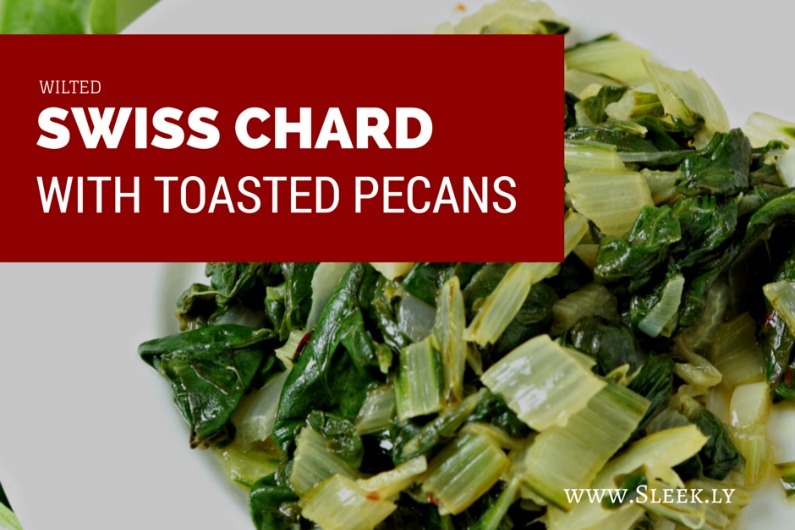 Did you know that swiss chard is a perfect match for bacon and garlic? 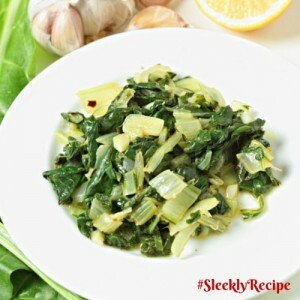 The smoky bacon and heated taste of garlic enhance the natural flavor of the chard. This low carb recipe is a side dish your whole family will absolutely love. Try now and believe how good this recipe is!!! An excellent side dish for family dinner. Place bacon between layers of paper towels and microwave until crispy. (Cooking times will vary, cook for 2 minutes; check and adjust time according). Add olive oil and shallots to large pan and cook over medium-high heat until the shallots begin to brown, approximately 4-5 minutes. Add chard leaves, water and lemon juice to pan. Stirring occasionally, cook until wilted, 2-3 minutes. Cover and cook until tender, 2 to 4 minutes more. Remove from the heat; add bacon crumbles and pecans. Season with salt and pepper, to taste.